Follow these steps to choose the right business organization. Sole Proprietorship: the individual engages in business personally rather than through a separate entity. Partnership: An association of two or more persons to carry on as co-owners of a business for profit. Limited Partnership: Partnership with one or more limited partners. Must have at least one general (personally liable) partner. Sole Proprietorship: Owner is personally liable for all obligations of the business. Partnership: Partners are personally liable for all partnership obligations. Limited Partnership: Limited partners have limited liability; general partner(s) are generally liable. LLC: Members have limited liability and are subject to exceptions similar to corporations. Step 3: Become familiar with the managerial control of each type of entity. Sole Proprietorship: Owner has complete control. Partnership: Each partner is an agent with authority to enter into transactions on behalf of the partnership. Limited Partnership: Only the general partner(s) may participate in operating the company. Corporation: Directors are elected by shareholders. Directors and officers operate the business. LLC: Can be member-managed or manager managed and may elect officers. Step 4: Consider the taxation of each type of entity. Sole Proprietorship: Not separately taxed. Income/expenses reported on schedule C to 1040 personal return. Must pay self-employment tax. Partnership: Not taxed as a separate entity. Profits and losses are passed on to partners. State and federal information returns and schedule K-1’s are filed. Must pay self-employment tax. C Corporation: Profits are taxed at entity level; potential double taxation. Minimum franchise tax. More tax deductions for employee benefits. S Corporation: Profits/losses are “passed through” to shareholders, like a sole proprietorship/partnership. No self-employment tax; salaries and draws. Minimum Franchise Tax of greater of $800 or 1.5% of net income. LLC: Can elect to be treated as sole proprietorship, partnership, corporation, or S corp. Minimum Franchise tax of greater of $800 or higher, based on the percent of gross income. Step 5: Consider the start up and continuing costs associated with each type of entity. Sole Proprietorship: No filings, fees, or minimum franchise taxes. May need to record a fictitious business name statement. Partnership: No filings, fees or minimum franchise taxes required, though partnership statement is recommended. Written agreement is recommended. Limited Partnership: A certificate of limited partnership must be filed, costing a filing fee of $70. Corporation: Must file articles of incorporation, prepare bylaws, originate minutes, stock certificates, statement of information, securities registration and exemption, obtain an Employee ID Number and file with the Employment Development Department. Must prepare annual minutes and statement of information. 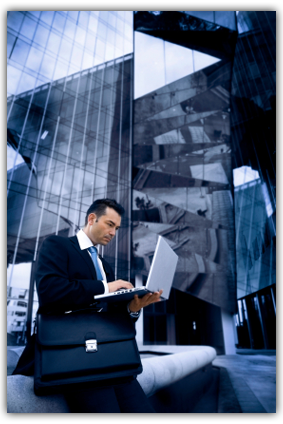 Limited Liability Company (LLC): Must file Articles of Organization and Statement of Information. Operating Agreement is recommended but not filed. Depending on tax election, may need to obtain EIN, issue certificates of interest, and file securities exemption. Interstate activity – Is registration required in other states?